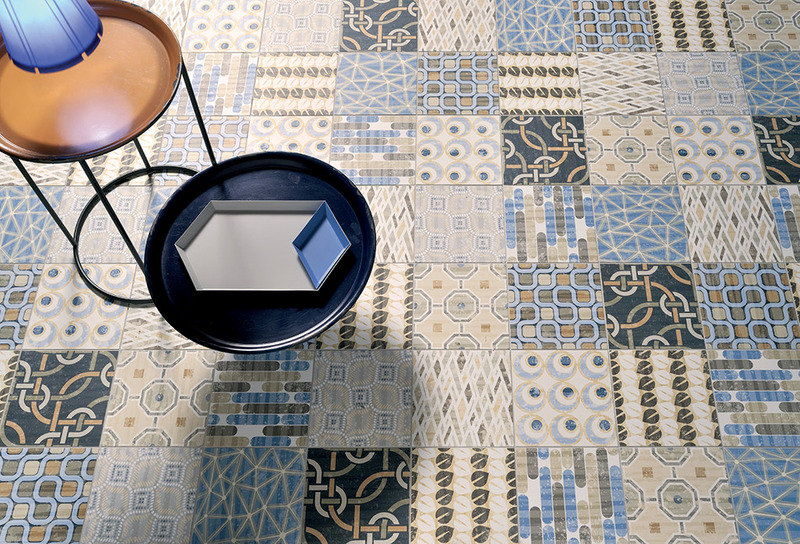 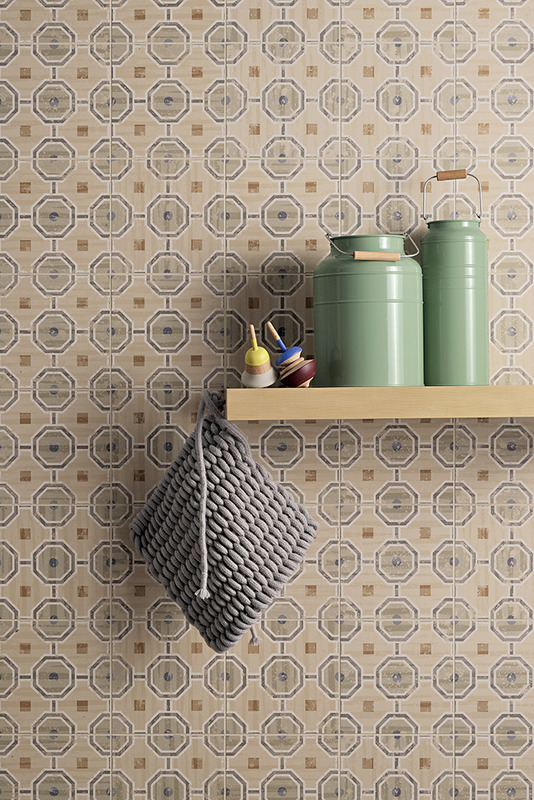 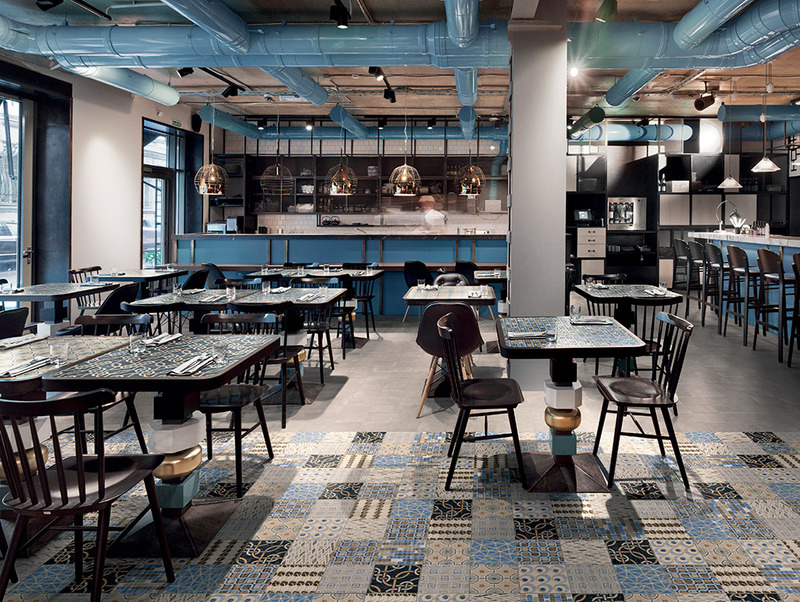 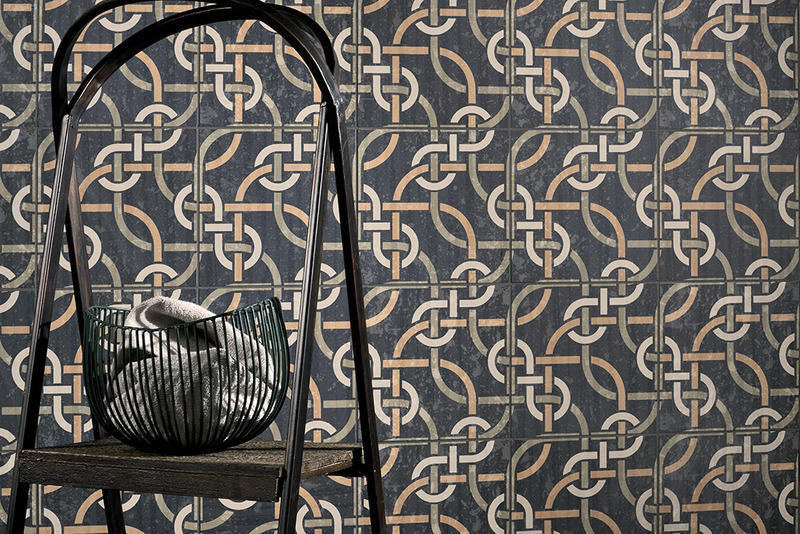 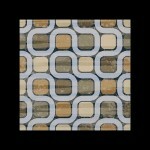 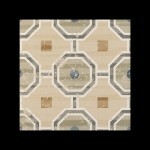 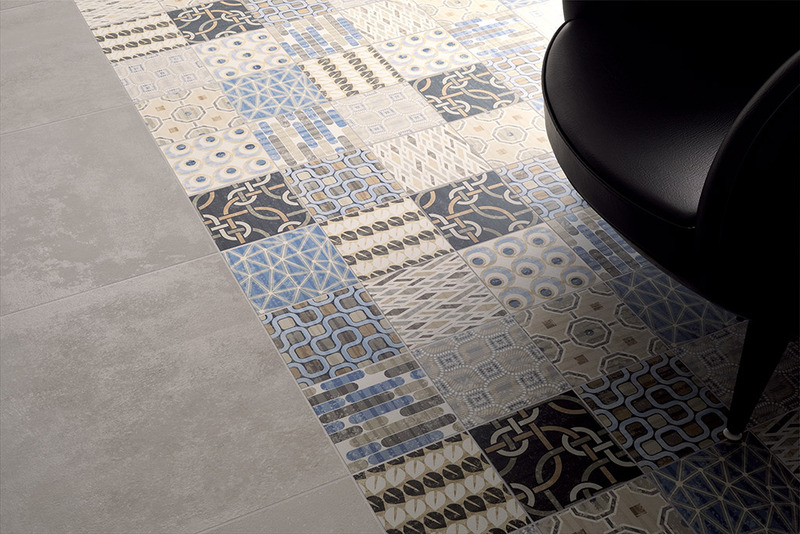 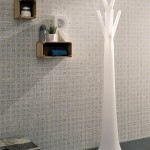 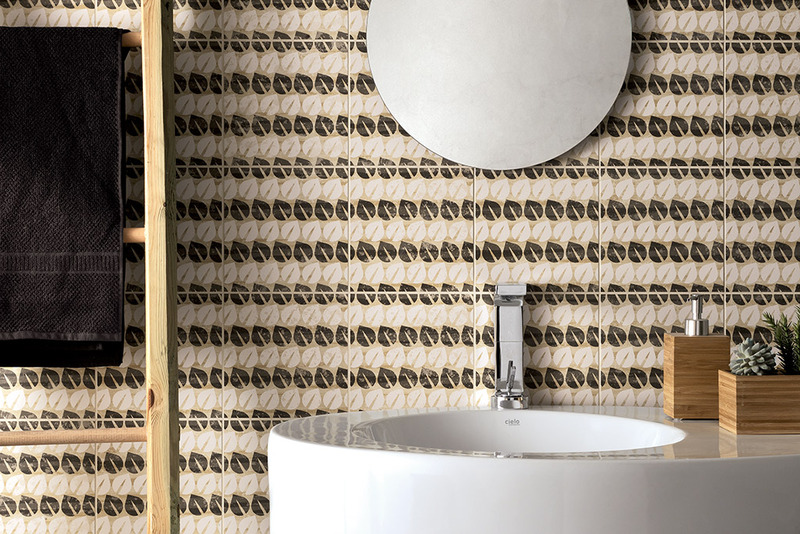 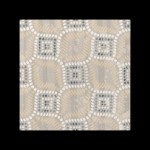 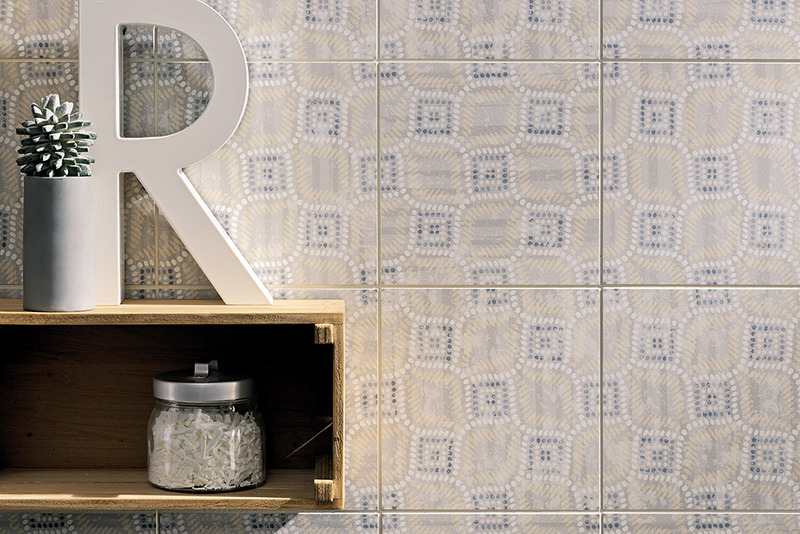 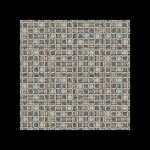 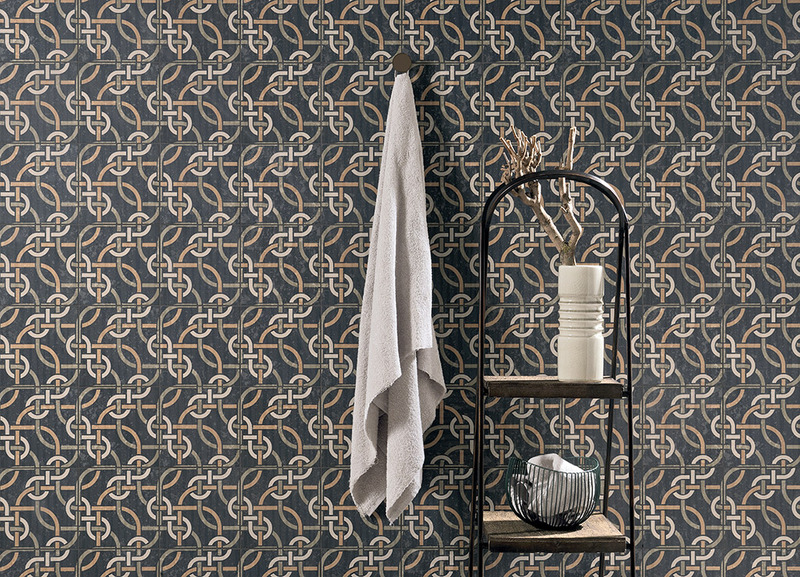 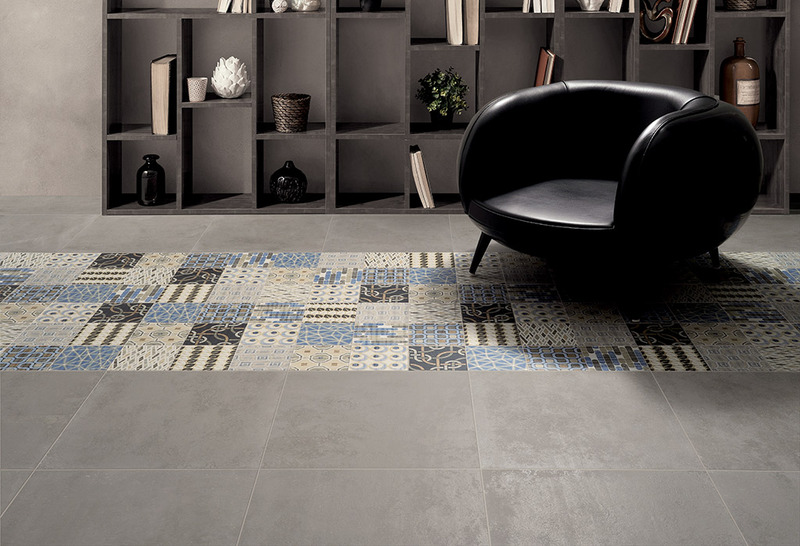 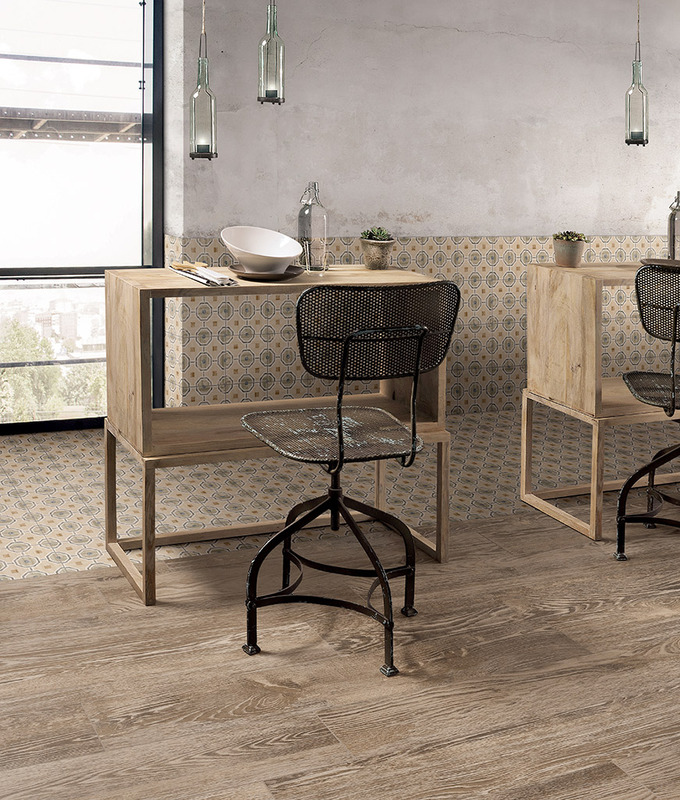 The new decorative modules for floor and wall tiling in the Cementine range. 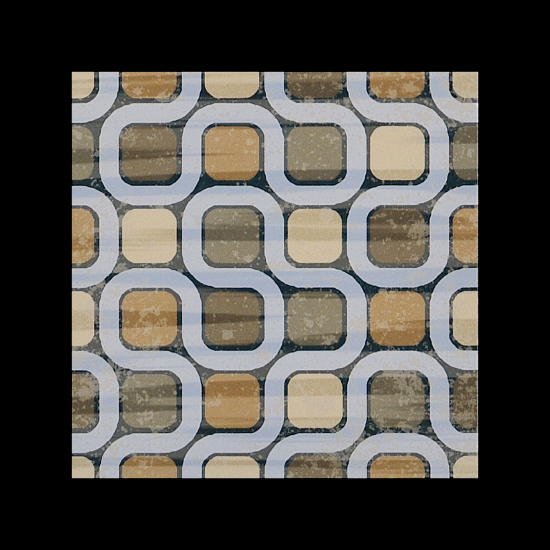 The graphics are inspired by the optical fabrics of the 60s, 70s and 80s. 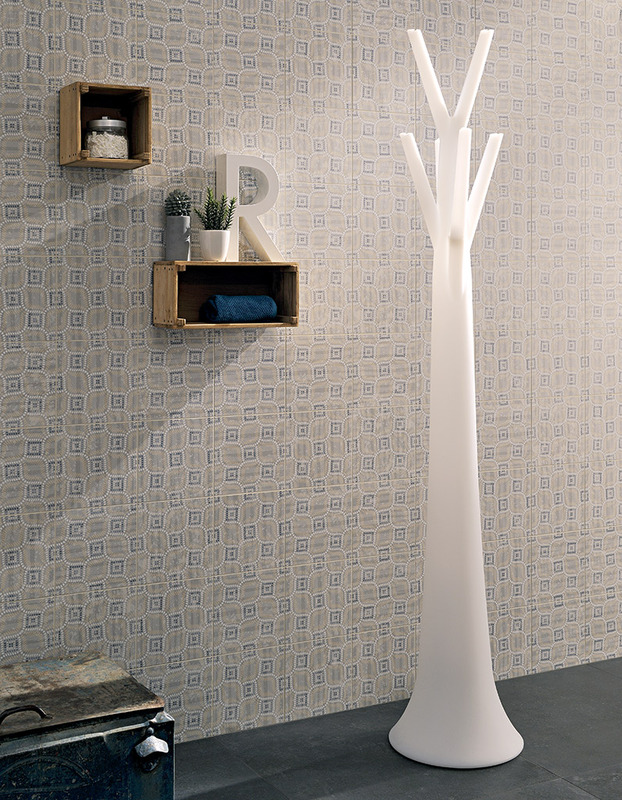 The graphics of CEMENTINE_EVO offer a strong visual impact, obtained using flat background colours to create simple, essential forms. 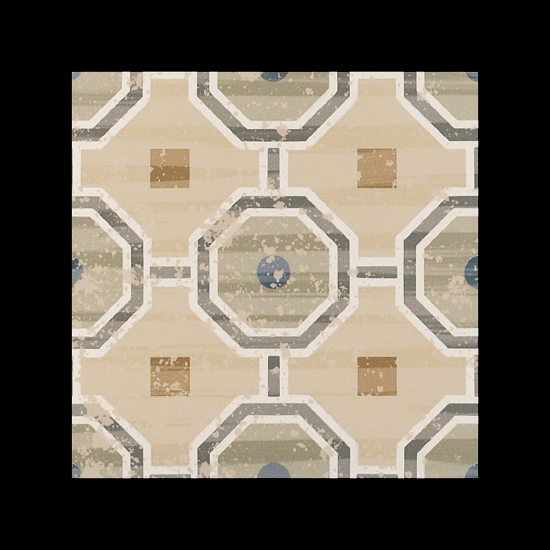 The material is treated almost as if it was a stencil worn by time and stained by subsequent painting. 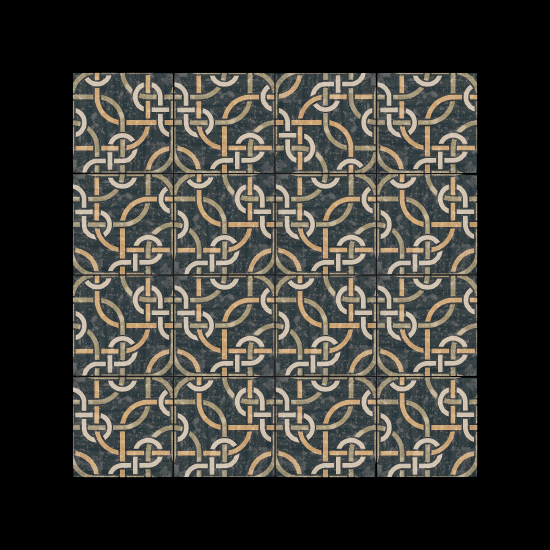 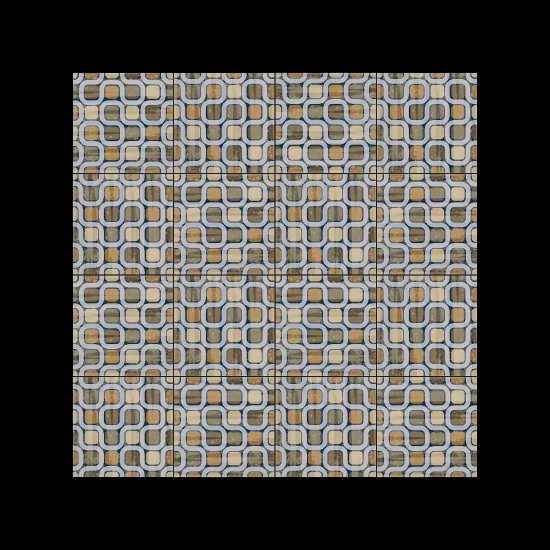 In the standard size 20×20, Cementine_Evo come in the Mix version with 9 “mixed” patterns, 5 of which are available for single pattern laying. 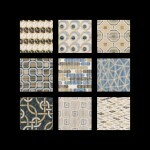 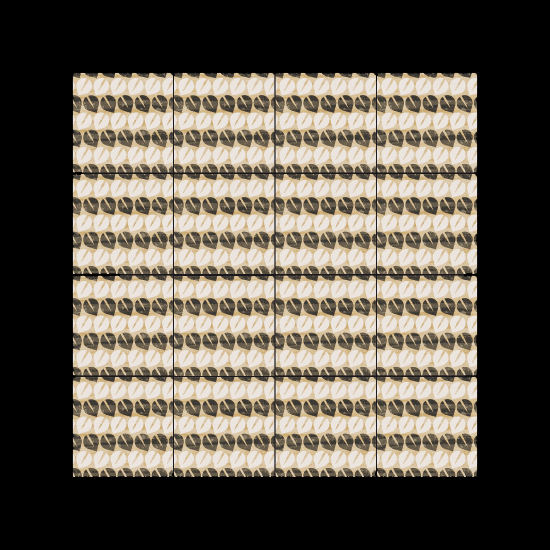 Evo Mix – Minimum number of assorted patterns in each box not guaranteed.